Neale’s troops are not the only pucksters who “didn’t like practices!” Some players just have a natural aversion to the boring routines of workouts which they feel, unlike scheduled games, do little or nothing for the team’s standings, or their personal pay-cheques. The result is they loaf at practice. Hall-of-Fame goalies Glenn Hall and “Gump” Worsley were two from the “Original 6” era who radiated their indifference during these proceedings. It is said that modern skaters like Alexei Kovalev, Alexander Semin, and Pat Falloon made it a habit to slough off at practices. There is an all-encompassing word which covers that base—“grueling”. Old school bench bosses like Hap Day, Phil Watson, and “Punch” Imlach were proponents of such merciless drills. It was not uncommon for their pawns to actually throw up on the ice because of this heartless regimen. Further, some of his peers claim that there are more injuries in practices than in games. He paused in his essay to give several examples which confirmed this conviction. 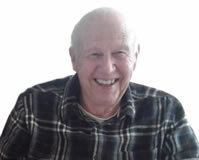 He referred to current Hab’s roster members, “Butch” Bouchard, Ray Getliffe, and Joe Benoit, who were nursing various kinds of cuts and contusions at the time. But he also reiterated a tale from Tommy Gorman’s copious memories. It seems after a strenuous Montreal Maroons workout, all were present and accounted for except ”Yip” Radley and Gerry Shannon. Apparently they had lingered on the ice to practice some shots. But Radley, who burned with an obsession to hit the arena clock with a shot, had let one go just as Shannon skated by. He nailed him right between the eyes. Each era of NHL history is dotted with identical accounts. Going back to 1927, “Babe” Dye, so nicknamed because he was a great baseball player, was limbering up at Chicago’s training camp. He and Art Townsend began kibitzing around trying to trip one another every time they got the chance. But it happened once too often. With the “Babe” streaking down his wing with the puck, Townsend stuck his foot out as he had so often before. But it clipped the little forward, so well known for his blistering shot, the wrong way. He went down in a heap—his leg broken—and his illustrious career was all but over. He missed the majority of the season and managed only one point in his last 58 NHL games. Eight years later, “Bucko” McDonald, renowned for his crushing body checks, was called up to the Red Wings from the IHL Detroit Olympics. Wanting to impress owner Jim Norris Sr., he warned his pal Norm Walker that he was going demonstrate his toughness for the Motor City C.E.O. Apparently Walker ignored the fact that “Bucko” was dispatching everybody in sight with sound thumpings; so he was not prepared when he was launched into orbit. He did a tailspin, and lay crumbled by the boards—his arm broken. That same fall, the Maroons were training in Winnipeg for the coming campaign. Tommy Gorman talked himself blue in the face, trying to break his crew from taking time to circle the net before heading down the ice. So he tied a rope from the cage to the screening at the end of the rink, hoping this would block off this route. Unfortunately sophomore Herbie Cain had not heard the warning. He hit the rope at full speed, became a human pinwheel, and landed on the back out his head—out cold! The next decade provided no improvement when it came to accidental hurts happening during training sessions. In fact on January 17, 1950 there was an early snag involving one of the Maple Leafs’ most reliable wingers, Harry Watson. Big for his era, a 200-goal scorer, he was a virtual “Mr. Clean” (he went through the 1948-49 campaign without incurring a single penalty minute). But the new decade dealt him a poor start. He crashed into a goal post during a workout and was put on the shelf for several days. He had a heavy shot, and it was not always under control. One of his steaming drives cracked Fern Flaman in the ankle—another disabled Jerry Toppazzini’s finger—still another broke Cal Gardner’s nose. The sensational 60’s began on the same sour note as the previous decade, with the Red Wings being victims this time around. As was often the case, tomfoolery resulted in a drill ending with a catastrophe. In this case two of Detroit’s famous Production Line were front and centre. Coach Sid Abel jokingly shouted at President Bruce Norris and Manager Jack Adams that he “guessed it was time for him to get his daily goal.” He stickhandled down the rink and moved in on goalie Hank Bassen. Just then Gordie Howe fired his stick along the ice playfully hoping to distract him. “Old Bootnose” nimbly hopped over it, but in attempting to put on the brakes he slid into the red-headed backstop. When the smoke had cleared he ended up with pulled ligaments in his foot. One of the scariest incidents of this kind took place during Canada’s Centennial in 1967. Two Canadians, however, came close to NOT celebrating, because of an accident during a drill, which almost resulted in a fatality. Twine-tender Eddie Johnston experienced what too many of the goaltender’s union often had—too many pucks available to too many potential shooters. None other than Bobby Orr let fly. And at that moment Eddie was distracted and had turned away from the approaching puck. It hit him in the back of the head causing a blood clot. Rushed to the hospital he had to repeatedly moved into the operating room in case the clot moved. Fortunately it never did. In his memoirs, goalie Ken Dryden recalls a mid-1970’s teammate who was “an accident going somewhere to happen”. He referred to “slab-thick” Rick Chartraw, who was the designated “team eccentric”. The fledgling barrister was reminiscing about his habit of warming up in team workouts before the drills actually got underway by rounding one net and heading up ice toward the other. Apparently he had the bad habit of losing his balance, furiously trying the remain upright, but falling—spinning out of control, and sliding like a tortoise on its back—until something, or someone stopped him. Often he careened into the big netminder. But on a number of occasions Pierre Larouche bore the brunt of his skids, and was injured. The Atlanta Flames moved to Calgary in the fall of 1980. One-time 50-goal sniper, Guy Chouinard, continued to play a big role in any offensive power they possessed. But he picked a strange way for celebrating the first anniversary of being transplanted to Alberta. 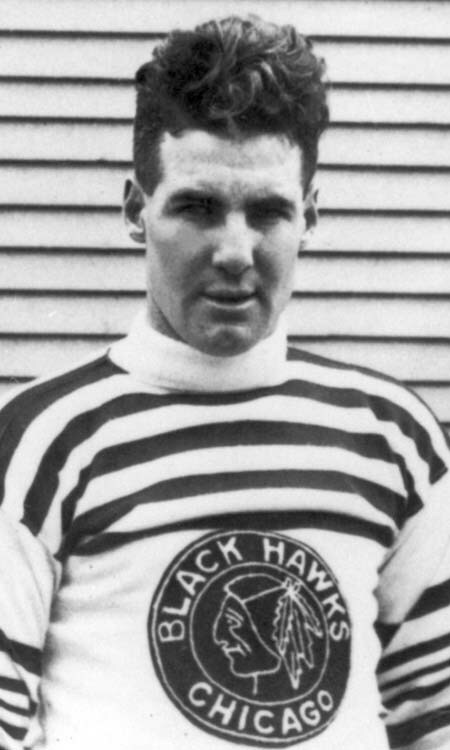 Ken McKenzie’s “Passing the Puck” feature in the Hockey News reported that he suffered a fluke shoulder separation in practice, and would be lost to the sextet for several weeks. Tony Twist experienced a bad one early in 1997. Clowning around with goalie Jamie McLennan, he tripped and stumbled into the gate leading into the player’s bench. There was less give to it than even the toughest enemy opponent. Another freakish kind of hurt took place during the Panther’s skills competition in December of 1998. Trevor Kidd separated his shoulder. During the rapid-fire shooting contest, he gave up a rebound at which Peter Worrell took a stab. The Florida cage cop grabbed the big winger’s stick just as he drew back to shoot. Out went Kidd’s shoulder. The New Millennium managed to make its entry without being sabotaged by the Y2K threat; but it did nothing to eliminate this timeless bug-a-boo—pucksters getting ambushed by injuries in informal workouts rather than in game action. Such mishaps showed no favouritism. Even Eric Lindros, who virtually turned the whole amateur draft system on its ear, by refusing to play for the Quebec Nordiques. During his swan song with the Flyers, while tuning up for the post-season, he couldn’t avoid a collision with a minor leaguer who was practicing with the parent club. The gash in his upper lip required 20 stitches to close. That kind of cut creates the worst kind of lisp. Some instances in the next dozen years were of a more serious nature than others. Recovering from the aftermath of a concussion suffered in November of 2000, Adam Deadmarsh was looking forward to making a return to action in 2003-04. His dizziness, distorted vision, and headaches were gradually fading. But in practice he was accidentally clipped by Jozef Stumpel’s knee to the head. It left him wondering if he would ever play again. In fact, he didn’t. He was forced into retirement. Later that same campaign another frightening calamity sent shivers up everyone’s back who heard about it, since it brought memories of Clint Malarchuk’s tragic accident a few years earlier. Buffalo Sabre’s netminder Mika Noronen was cut in the throat during a team workout, when Chris Drury tripped over the big goal stick. His skate came up and hit Mika just below the jaw, inflicting a two-inch gash. Whether 1915 or 2015 hurts, which sidelined players in practice, seemed, and still seem like a “first class argument over a second class issue”. But they have lowered the boom again and again as long as the game has been played. But what is even more bizarre is injuries as result of teammates deliberately inflicting harm on their buddies in fits of temper. In-house fighting is not rare—especially during the “Original 6” era, with the competition for places on team rosters that were up for grabs. But after multiple teams started dotting the NHL register, only overheated adrenalin was required. In 1972 the Maple Leafs’ Rick Ley and Jim Dorey squared off during a workout for no apparent reason. Coach McLennan tried to intervene and got punched for his trouble. Dorey was hospitalized to get a tetanus shot after Ley bit him on the finger. Ley, in turn, left the fray with a piece of tooth missing. A decade and a half later, even more steam was generated, with Chris “knuckles” Nilan taking out his frustrations by landing a vicious slash in rookie Stéphane Richer’s left knee. The latter needed to be helped from the ice. “Practice makes perfect”, the old adage has it. But sometimes it can be precarious.